The slot insulation process for electric motors is to provide a barrier between the copper wndings and the steel lamination for all stator, armature and rotor products. It is important that high quality machines and tools are used in the manufacturing process to achieve this condition. With our comprehensive range of stator, armature and rotor slot insulation machines and quality tooling we can accommodate a wide range of insulating materials such as Nomex, Mylar and combinations of these materials. 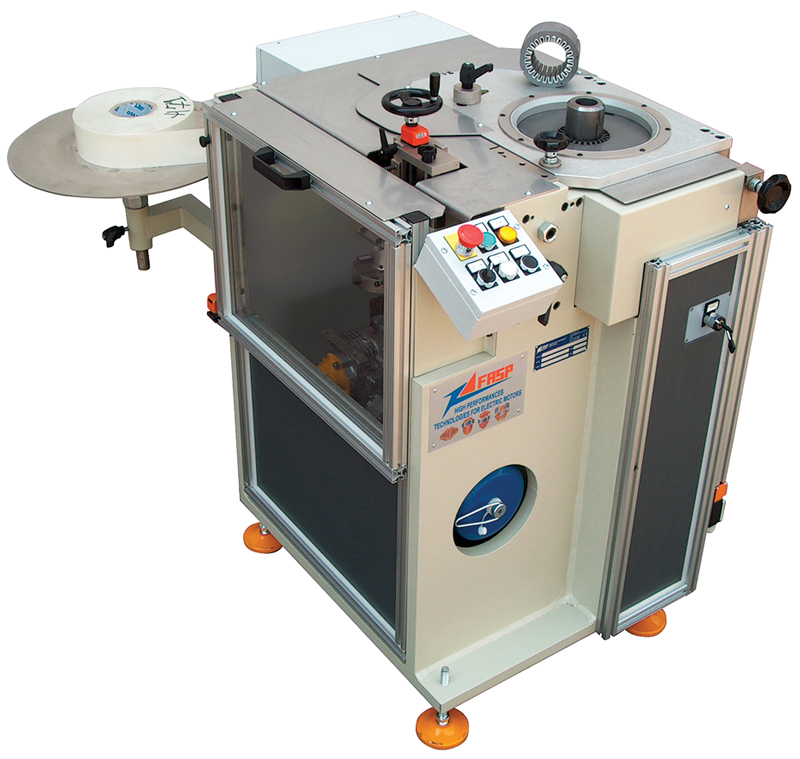 Both semi-automatic and fully automatic slot insulation machines can be supplied for stators, armatures and rotors. 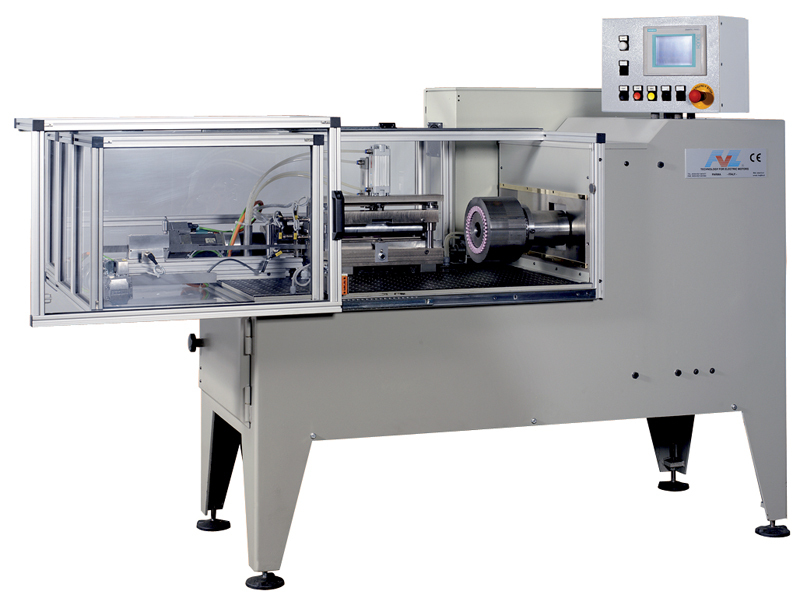 The IFC range of fully automatic slot insulating machines are vertical loading. Loading of stator parts can either be manual or integrated with an automatic loading system. Each machine will feed, form. cut and punch each slot insulation into the required number of slots in a stator lamination stack. The IFC range can accommodate a wide range of stator stack heights which will suit the majority of production set ups. Every IFC machine is PLC controlled and is very operator friendly. Quick change tooling allows for fast stack height and complete lamination changeovers in order to accommodate different stator slot configurations (up to 72 slots). If a vertcial loading slot insulating machine does not fit into your production set up then we can supply horizontal loading machines which can be be used for small, medium and large sizes of stators. 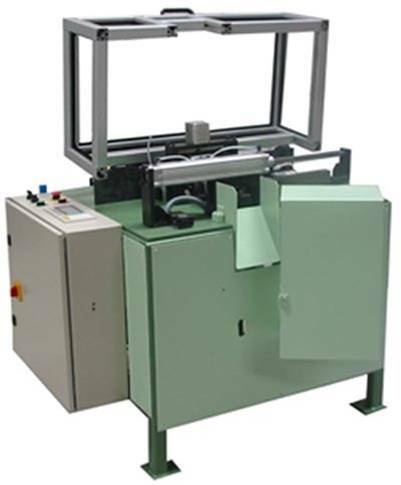 Developed width paper is fed from the side of the machine and is then formed with cuffs at each of the slot liner, cut and pushed into each stator slot. Th stator is indexed between each stator slot and when the stator is fully insulated it is moved outside of the working area for unloading. Unloading of a stator can be manual or with the assistance of a lifting device in case of heavy stators. Each machine is PLC controlled and gives the operator excellent flexibility for programming many different types of stator configurations. For low to medium volume production, our CSI automatic slot insulation and slot wedge preparation machine will produce excellent quality slot insulation pieces for hand loading. A wide range of slot insulation widths and materials can be used. The machine uses a developed width of paper relative to the dimension around the slot which means you only need one width of paper per slot size therefore saving on the different quantities of slot insulation reels of paper you need to purchase for a range of different stack heights within one frame size. Adjustable creasing rollers allow for up to 4 creases to be formed on a single piece of insulation paper. This machines gives the options to produce slot liners with cuffs or without cuffs. It is possible to supply this machine with a feed system capable of feeding a 1 metre length of slot insulation material in 5 seconds. 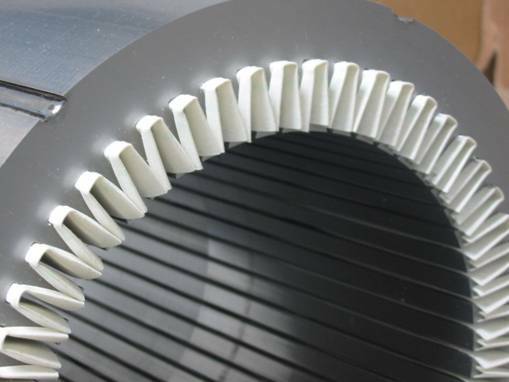 Having the facility to produce both slot liners and slot wedges for stators, armatures and rotors helps to cover a wide range of products for low to medium volume electric motor producers.